What can a bus-sized orbiting telescope with a 7.9-foot mirror tell us about the universe we live in? That's just a taste of the discoveries made by scientists using NASA's veteran Hubble Space Telescope, a bus-sized satellite launched in 1990 which has had a stellar career delivering stunning images and incredible discoveries about things in the universe and the universe itself. With its 23-year career winding down—and in fact on extended life support at this point—what will succeed Hubble to continue putting stars in our eyes as never before? The James Webb Space Telescope (JWST) is the quick answer. 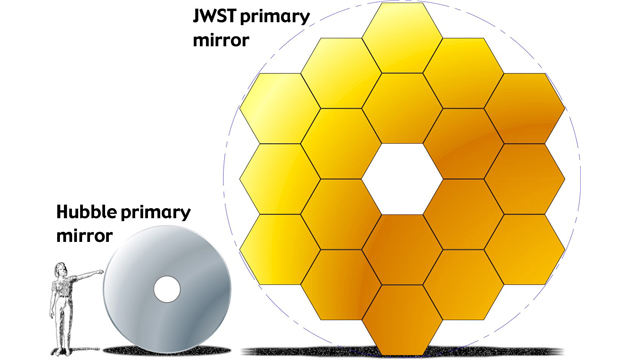 And if you think the list of achievements of the Hubble is impressive, know that the JWST will sport an objective mirror array 21 feet across, with more than 20 times the light-collecting capability of its predecessor! JWST will be launched later this decade and sent to a point in space a million miles farther from the sun than the Earth: the spot where the gravity of the sun and the Earth pull with equal strength. Called a "Lagrange point," this spot of gravitational stability will allow JWST to circle the sun but remain always at the same distance from Earth. With the Earth always a good million miles away, JWST will have a full and unfettered view of the entire sky. JWST will also be optimized to observe infrared, not visible, light--which will allow us not only to see farther and fainter objects than ever before, but into regions of space where Hubble's visible light wavelength vision is obscured by dust. JWST will peer into dense clouds of gas and dust in our galaxy where embryos of new star and planet systems are in the process of forming. Hubble has revealed "bubbles" of gas and dust, called proto-planetary disks or proplyds, embedded in vast nebulas. Like a sonogram of a human embryo, JWST will see into these proplyds and show us what our solar system might have looked like even before the sun lit up as a star. It was not so very long ago that all we knew about other stars was from the light they emit; a few decades ago we had no observational evidence of extrasolar planets or even the encircling disks of dust from which they form. In its career, Hubble has not only observed raw material orbiting young stars but has even measured the composition of the atmospheres of exoplanets. JWST will show us far more about the physical nature of exoplanets than we can measure today. JWST's increased sensitivity and resolution will allow us to probe the aftermath of the Big Bang to even earlier times than Hubble, giving us greater insight into the birth and early evolution of all of creation. Hubble has captured pictures of galaxies so far away that the light we see left them when the universe was only a few hundred million years old. 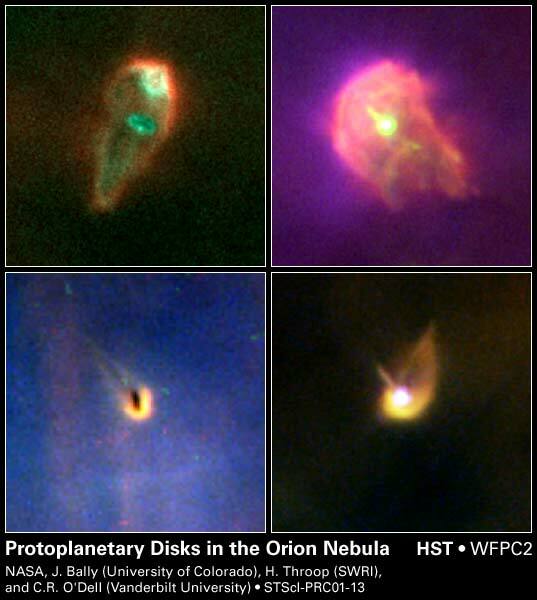 This has given us glimpses of the very first galaxies that formed, when they were in their infancy. JWST will look deeper and bring into sharper focus our understanding of the cosmos as a whole. I don't know about you, but I'm pretty excited….